Middlesbrough manager Aitor Karanka is starting to feel the frustrations of his side’s worrying goal drought. 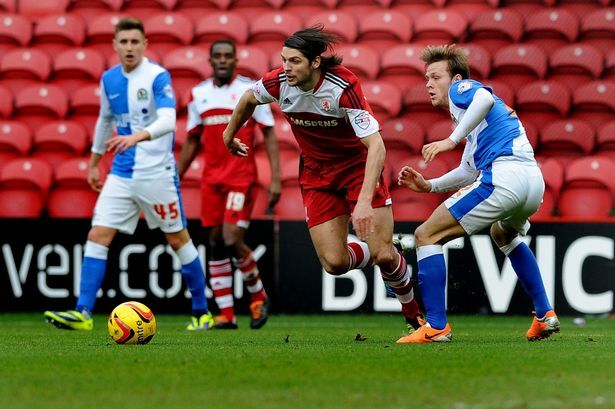 The goalless draw with Blackburn was a third successive scoreless stalemate for Boro after bore draws at home to Wigan and away at Doncaster. With losing at Leicester before that, it was the fourth game on the bounce without netting. The once free-scoring Teessiders have now gone seven hours and 15 minutes without a goal. It wasn’t for the want of trying. Rovers’ former England goalkeeper Paul Robinson put in a wonder show to deny dominant Boro what would have been a deserved victory – but that didn’t make Karanka feel any better. He said: “It’s frustrating for me because we didn’t play very well against Doncaster and we probably didn’t deserve to win the game against Wigan – but against Blackburn we had a lot of chances. “I’m concerned because you need to score goals to win games and I’m frustrated because we had many chances to score and didn’t,” said the Spaniard. “In the first few minutes we had three or four very good chances and we did not score because of their keeper. He did very, very well and stopped us. Karanka, though, was upbeat about the polished display in which Boro dominated possession, had 14 shots and were only denied by four top-drawer saves from Robinson. He added: “Of course, when we don’t win I’m not happy. “In the first half my team did all the things I asked them to do. “We played with intensity, we showed concentration, we created many chances. I think we recovered our style. Boro bossed the game from the off and with Mustapha Carayol running riot down the right carved open play-off pretenders Blackburn repeatedly and but for Robinson would have easily won before the break. After four minutes Carayol weaved into the box before drilling in an angled 10 yard effort the goal keeper did well to push behind for a corner. Then from the flag-kick on-loan Chelsea man Nathaniel Chalobah powered in a downward header which Robinson blocked one-handed at the post. Then on 29 minutes, although Robinson spilled a cross he did well to gather in a furious scramble as first Emmanuel Ledesma then on-loan Sunderland striker Danny Graham took a swing at the loose ball. Then Boro should have grabbed the opener on 55 minutes as Graham sent Carayol wriggling free into the box but, as he shaped to shoot from 12 yards, Robinson came sliding out to block. On 72 minutes Albert Adomah chipped in a goalbound effort which sent Robinson, well off his line, back-pedalling to stretch and tip over. 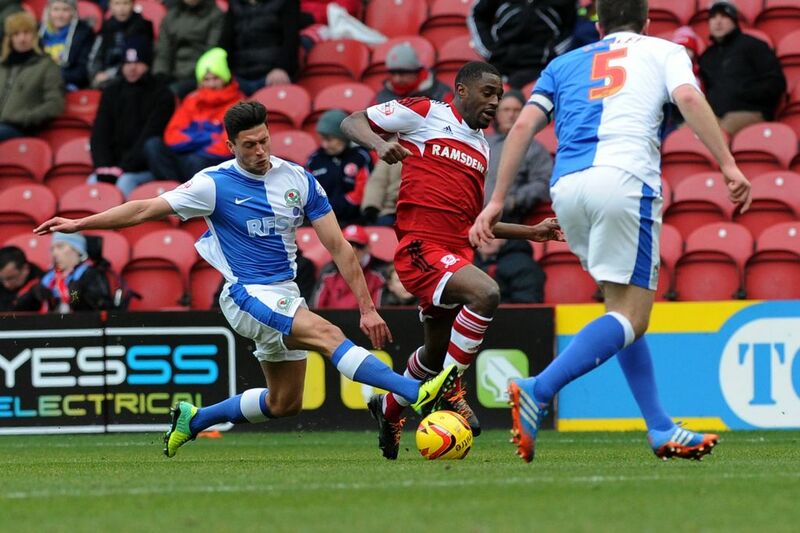 Blackburn boss Gary Bowyer said: “Robbo was outstanding. Despite a third successive draw Boro inched a point closer to the play-off places but Karanka insists he is not thinking that far ahead.